As Im looking over the ending phases of the 991 generation, it appears to me that Porsche may be preparing to break the 992 generation into two model ranges. One being a Carrera Range with a top end Turbo Series and the second being a GT Range with a top end RS Series. We have all noticed that the six figure supercar segment has exploded in recent years. It’s an awesome time to be making millions and shopping for cars! The Carrera Range will be focused on being street cars you can track. Think Aston Martin and current Ferrari which are focused on delivering exceptional brand experiences. The GT Range will be focused on being track cars you can street. Think AMG and McLaren which are focused on delivering exceptional product experiences. We are dealing with the difference between when you hear someone call themselves a Luxury Brand versus a Performance/Sportscar Brand. This is already the same distinction between the Turbo and a GT3, but now expanded across an entire nameplate and how Porsche manages to be equally a Luxury Brand as much as a Sportscar Brand. *Note that I think AMG is going for the same plan with the next generation SL Range (which is going 2+2 I hear) and their GT Range. AWD-only, PDK-only, and 2+2 seating only. Available in Coupe, Convertible, and Targa. E-Hybrid exclusive to Carrera Range. 2-Seater Coupe and Spyder only. Bespoke 0ptional performance AWD and PDK system giving models the “4" designation. I think it would be a great opportunity to have the RS cars be built with carbon-fiber monocoques and actually be RMR (I also think the electric 911 should be on this platform). 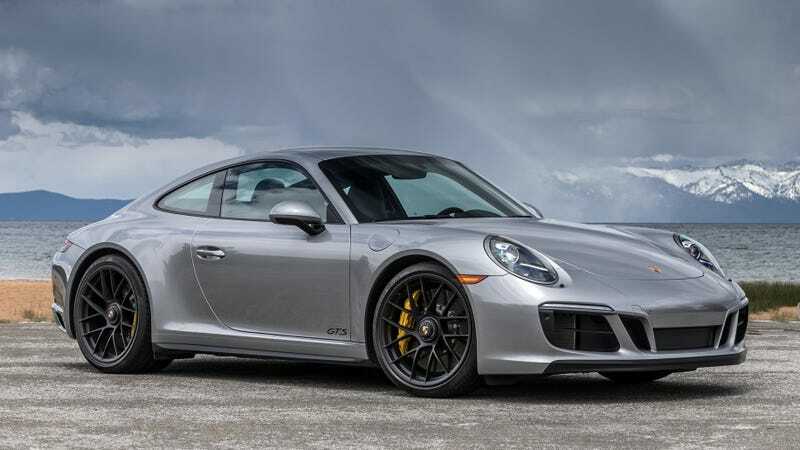 Sounds crazy but by doing this split for the 992 generation Porsche could spin off an RS-dedicated model to sit above the 911 fulltime and address McLaren and AMG, which are the only two brands that I guarantee will attack Porsche directly in order to build their own brands up. Plus, now that Audi Sport exists Porsche can turn RS into a performance group for exclusive cars that are more exclusive-er.